like a peach iced tea stain. It hasn’t been great, birding-wise, for me since this summer. The period between April-July was hotter than a witch’s cauldron. And then it rained till mid-August. Now it alternates between being nauseatingly humid and wet. It is the worst. That’s one of the reasons why I have been re-posting so much old material with a few edits. I haven’t had that many new birdies to show you. I have learnt though that patience isn’t always the art of being able to wait. It is how one chooses to act while doing so. And I don’t do a good job of it. I remain restless until things go my way. Or I will keep myself occupied to the point that I won’t have the time to think about anything else. I am happy though that you, the dear reader, wait for the new birdies in my life with a lot more panache. And kindness too. So thank you for putting up with the re-posts. Despite the overcast conditions this weekend, I did some birding on the East Coast Road – a scenic highway in my city’s outskirts. It had been a full moon night, and so the moon was still around, dripping, like a spot of curd up in the clouds. 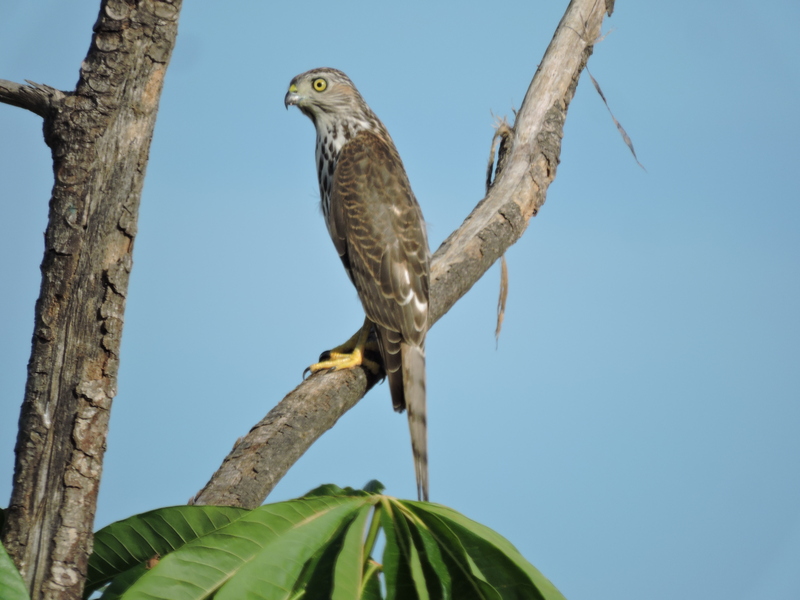 Once the light came through, and she disappeared on me, I noticed a juvenile Shikra eyeing me from atop a branch. I then spotted a Black-Winged Stilt, with her tall glasses of strawberry pulp for legs, moving like a contemporary dancer. I saw a few other birds too along the coastal stretch. A Southern Coucal singing from her secret spot, a Black-Winged Kite in parliament with himself, a Grey Francolin yawning a lullaby and Purple Herons looking stoic like only they can. I can’t wait for the rains to go away. And the searing heat too. Come October, southern India will cool down enough for the residential birds to come out in droves again. Those in migration will find a home in these parts. And love, in questionable proportions, from me too. curd in the sky… that one phrase has woken up everything that was dead and Chennai in me! Sigh! Who needs birds when words can make the moon fly. Wakey wakey, dear friend. Such a beautiful thing to say, thank you! May I ask, do you instinctively identify the moon as feminine in gender or did you consider that first? With the birds, it has been instinctive. 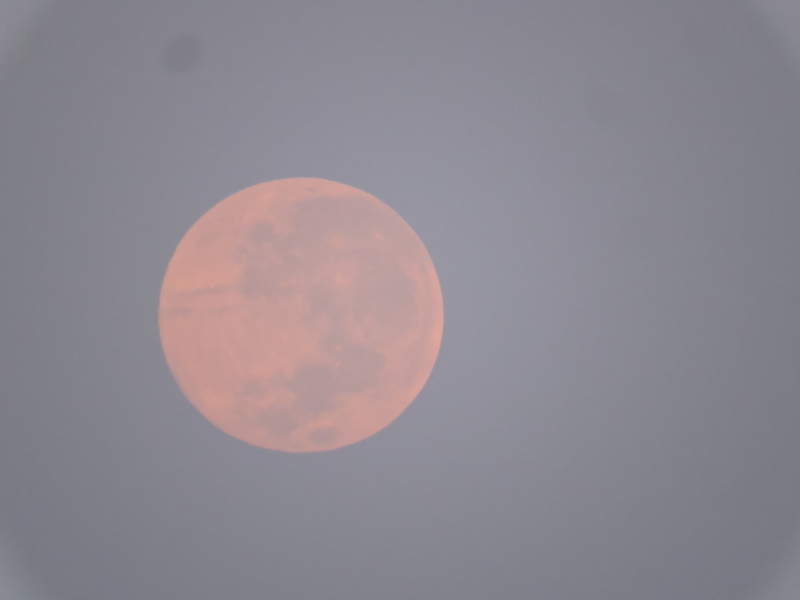 This time with the moon too, I hadn’t realized until after! Thanks for writing, Hariod. A lovely post. The shot of the moon is intriguingly beautiful, and somehow reminded me of the eye of a bird, peering at your binoculars. Thank you so much Elisa, that’s such a beautiful thought! Thanks doc i am honoured! Wonderful writing–not to mention the enchanting moon shot. Absolutely comrade, I think love is about to spill out of this summer’s papercups, if these birds were any indication. Long legged lovelies have a soft corner in me too. Watercocks and black winged stilts especially. Birding in Spain. Gosh, how lovely that sounds. What were your highlights of that trip!? Lots of raptors! But the specific place where I saw the black-winged stilts had lots and lots of ducks and what I think was a Painted Snipe – which rivals nightjars in comically intricate beauty, I think.